Travelling by bicycle in Tibet offers a kind of challenging ways to see the roof of the world. Just as a cycling excursion in Tibet makes the tour more interesting wheeling on the edge-shaped mountains and trails on the highland valleys. 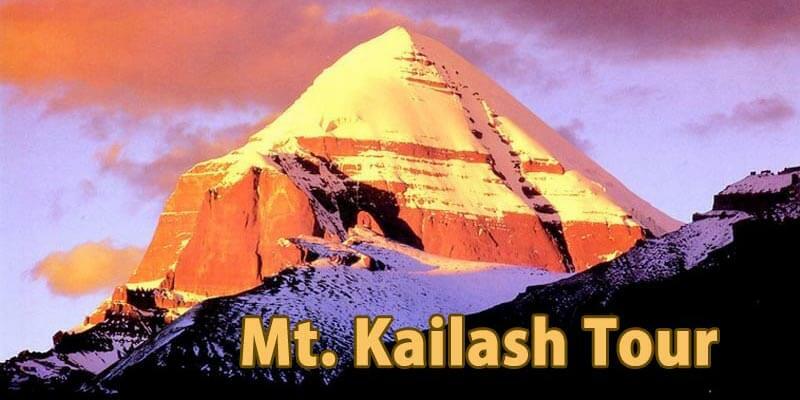 The additional concern relating to bicycling in Tibet may keep you in fitness position for a journey of such nature. 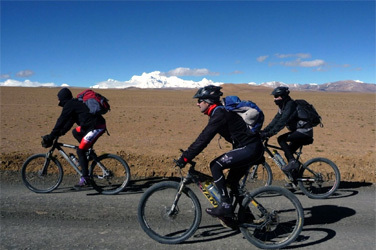 The bicycling in Tibet is considered to be the highest mountain biking in the world. We have to take the demands of big climbs, rough roads, remote surroundings, and extremely high elevations into consideration for this kind of travelling in Tibet. Day 02: Free day in Kathmandu. Hotel. Day 03: Fly Kathmandu to Lhasa. Hotel. Day 04: Lhasa sightseeing /acclimatizing. Hotel. Day 05: Lhasa sightseeing /acclimatizing. Hotel. Day 06: Lhasa sightseeing /acclimatizing. Ride to Sera Monastery. Hotel. Day 07: Ride to a campsite (12746ft) at the bottom of Khamba La. Day 08: Cross the Khamba La (15728ft) and descend to Ngartse Village (14682ft). Day 09: Cross the Karo La (16453ft) and descend to a campsite (14354ft) below the Simi La. Day 10: Cross the Simi La (14206ft) to Gyantse (13304ft). Hotel. Day 11: Visit the impressive Kumbum and then ride on a good stretch of road to Shigatse (12730ft). Hotel. Day 12: Sightseeing day in Shigatse. Visit to Tashilunpo monastery complex. Hotel. Day 13: Ride to a campsite below the Tso La (14075ft). Day 14: Cross the Tso La (14764ft) and ride via Lhatse to halfway up the Gyamtso La. Camp at 15617 feet. Day 15: Cross the Gyantso La (17126ft) to the town of Shegar and then ride to a campsite (14403ft) beneath the Pang La. Day 16: Ride to the Pang La (16896ft) and descend to Choesang (13583ft) beyond Phadu. Day 17: Ride to Rongbuk Monastery. (16400ft). Day 18: Rest day at Rongbuk. Day 19: Drive to the Lamma La, ride to the Lhasa/Kathmandu Highway. Drive to camp at Tingri hot springs (14173ft). Day 20: Ride to a campsite (14944ft) below Lalung La. Day 21: Cross the Lalung La (16811ft) and Thang La (16568ft) to Nyalam (12139ft). Day 22: Descend 6600 plus feet to Nepal border and on to the “Resort.”/ camp at the Bhotekoshi river bank. Day 23: Drive or bike to Kathmandu. Hotel. Day 24: Departure from Kathmandu.